Knee Injury Treatment-Nowadays, more and more patients are going to doctors with common causes of knee injuries, such as fractures, dislocations, sprains, and ligament tears. Knee injury in recent times has become one of the serious issues that doctors are dealing with. Knee is a complex weight bearing joint with many components, making it vulnerable to variety of injuries. Although many knee injuries can be successfully treated with simple measures, such as bracing and rehabilitation exercises, other injuries may require surgeries to care for. 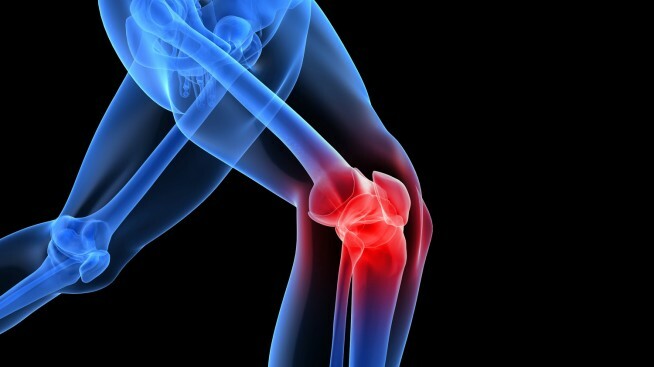 However, if your knee is damaged by some of the painful and progressive degenerative disorders, such as arthritis; you will be either suggested for steroidal medicines or knee replacement surgery by your healthcare professional. As a matter of fact, surgery can bring various other complications like opportunistic infection, delayed healing, long stay in the hospital and cost; thus it’s always better to stay away from surgeries. Additionally long term exposure to steroidal medicine may initiate other long term complications with different organs. At present in the initial stage of your developing arthritis, many rehabilitation practices may as well be suggested to minimize the progressive damage of the disorder and reduce the pain associated with the same. Weight Loss and Exercise: Losing weight may help you lose the pain to a great extent. Being just 10 pounds overweight, may add up average 60 pounds of force on your knee when you move any further. Exercise thus can definitely help you achieve your weight loss goals, while strengthening your muscles and reducing pain. Working with a Physiotherapist: It is always advisable to work in co-ordination with a physiotherapist, who knows all the exercises and who can design a schedule that may help you to reduce pain and strengthen the key muscles that affect your knees. Knee Injections (Hyaluronic Acid): Knee injections of hyaluronic acid lubricate the knee by spreading in between the joints. These injections may help the cartilage and bone tissues slide more smoothly in the joint; thus it acts as a shock absorber, reducing the fiction between two bones and hence minimizing the pain. The technique helps reduce pain and improve knee mobility. Potential side effects may sometimes include additional swelling and pain. Medication or Cortisone Shots: Medication, including over-the-counter pain relievers and topical creams with the numbing agent’s, such as lidocaine or Marcaine, etc; may help control your knee pain. Your doctor might also recommend an injection of either steroids or cortisone. Steroids The steroids are injected at the site of inflammation. They mimic naturally occurring hormones in your body. Prolotherapy: It is a new approach that uses a dextrose solution, injected into the ligament or tendon to increase the blood flow and supply of nutrients. The dextrose solution is a sugar mixture. This treatment aims to stimulate the tissue, so it will repair itself. Arthroscopic Surgery: A surgeon may suggest arthroscopic surgery to remove bone fragments or repair tendons and cartilage inside the knee. An arthroscope is a type of camera that allows a surgeon to view the inside of your joint through a small incision. After making two to four incisions, the surgeon uses the arthroscope to operate on the inside of your knee. Stem Cells: As such all these conventional treatments can only minimize the pain and/or reduce the symptoms; additionally, anti inflammatory drugs as well as steroidal medications can be dangerous, if continued for a longer period of time, posing other health related issues. In this regard, medical professionals as well as people suffering with these silent diseases were desperately in need of an alternative treatment option that can help them get out of their day to day trauma. In this regard, stem cells therapy is like a miracle for patients that can help alleviate the pain and inflammation in joints. Stem cells are very naive cells of the body, which can be differentiated to any kind of cells of any kind of origin. This remarkable ability of them has been exploited by the healthcare system to promote regeneration of different damaged tissues, which is the basis of many diseases.